1. Regardless of whom the QB is . 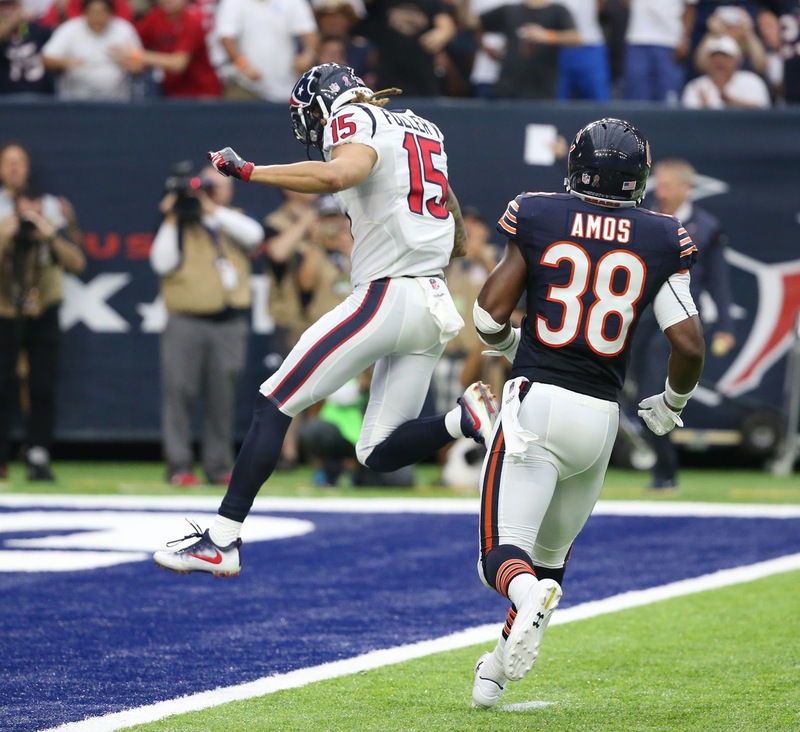 . . release the ball quickly: The Texans are loaded with players that get after the quarterback as they lead the NFL with 9 sacks already this season. J.J. Watt (1.5 sacks, 17.5 sacks last season) will get special attention as usual, but over the last several games going into last season, Whitney Mercilus (2.0 sacks, 12 sacks last season) has been as productive as any OLB in the game. Former #1 overall pick Jadeveon Clowney (1.0 sacks) is fully healthy and is primed for a big game after he racked up 2 sacks against New England last season. John Simon leads the team with 2.5 sacks from the other outside linebacker position. Needless to say, Marcus Cannon and Nate Solder need to play their best game to avoid strip sacks from the edge. Expect Martellus Bennett to spend time in protection as he did in week 1. 2. Ground and pound: So far the Patriots have run the ball effectively in both contests this season. In fact, the ground game got better as the game went along against Miami, which is what a physical-running team needs to do. Last year, it was quite the opposite, unfortunately. The Texans' game plan is certainly focused on taking the run away from the Patriots so that they can force Jacoby Brissett to beat them. It's important that Josh McDaniels stays committed to the ground attack, even if there is no initial success. Look for the Patriots to run some zone-blocking schemes and some outside tosses and sweeps to stay away from Vince Wilfork and the rest of the interior of the Texans' defense. 3. Defend against the deep pass: DeAndre Hopkins and rookie Will Fuller have been arguably the best receiver duo in the league after the first two games with 378 yards and 3 TD's combined. Houston certainly saw Patriot cornerbacks struggle last week against Miami's receivers. Duron Harmon will likely see extended action again in a pair with Devin McCourty in 2-deep coverage. Tight end C.J. Fiedorowicz is not a big receiving threat since the Texans run plenty of 3-receiver sets. Justin Coleman has struggled in the past 6 quarters, so expect Brock Osweiler to isolate him and throw to his man. Perhaps Cyrus Jones gets a chance as the nickel corner some time during this game. It's important that the Patriots' secondary tackles fundamentally because Hopkins and Fuller both run well after the catch. 4. Generate a pass rush: Dont'a Hightower returned to practice this week and it would be a godsend if he can return to action. Not only is he the key to stopping the run, but he also teams with Jamie Collins in disguising and executing A-gap blitzes from either or both sides, which would create problems for the Texans' protection schemes. Chris Long has been the Patriots most consistent (and really only) pass rusher all season. LT Duane Brown has already been ruled out so Jabaal Sheard needs to take advantage of his matchup vs. Brock Osweiler has already thrown 3 picks, so more pressure could force the young quarterback into some untimely mistakes. Trey Flowers is due for a big play. 5. Win the third phase: Statistically, there is no apparent danger with Tyler Ervin as a kick/punt returner. The Patriots have been outstanding at kick coverage all season by not only not allowing all long returns, but they've already pinned their opponent deep in their own end with nicely placed tactical kickoffs by Stephen Gostkowski and excellent coverage. Especially early in the game, it would help if the home team can win the field position battle in order to take the pressure off their own offense and force the visitors to take some silly chances of their own. Houston punter Shane Lechler has been a booming punter in the league for years and is listed on the injury report with a back issue. This situation bears watching. Gostkowski needs to atone for his blown-critical kick last week and nail a few long field goals since they may struggle moving ball deep into Houston territory and across the goal line.